Shanghai Mimaki trading Co.,Ltd. will participate in “Shanghai TEX2013 (International Exhibition on Textile Industry)” held from June 10 to 13, 2013 in Shanghai China. We will exhibit following printers and offer efficient workflow and applications. Textile pigment ink enables to print on non-pretreatment fabric, and skip steaming process for ink fixation. Baking process is only required after printing. Sublimation transfer printing on polyester material. 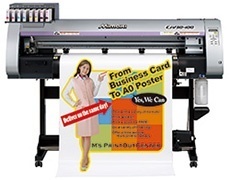 Print & Cut printer: Ideal printer for making rubber heat transfer labels applied on T-shirt, sportswear and so on. Digital textile inkjet printer features belt transportation system for ensuring high-speed printing, and high quality image. Shanghai Mimaki Trading Co., Ltd.
2/F, Block 45, Guipingyuan, 555 Guiping Road, Xuhui District, Shanghai, China P.R.O.C.